Beauty that lasts for ever.. 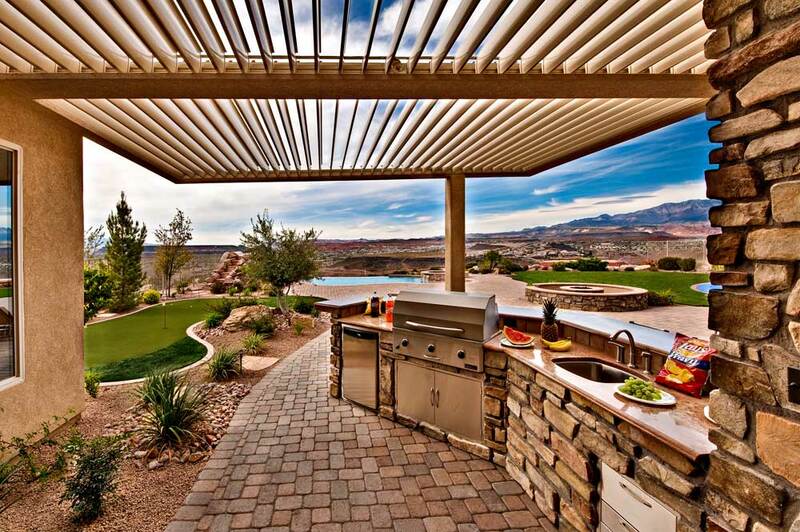 When making choices that involves your aluminum patio cover it can become a very difficult choice. 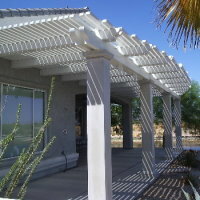 Today homeowners are looking for aluminum patio cover contractors for guidance. Wassgren & Sons patio covers has plenty of satisfied customers in Oceanside, Carlsbad, Fallbrook, Chula Vista, Temecula, Menifee, Hemet, San Jacinto, Beaumont and Marietta. Most patio cover companies will offer lots of advice, patio cover colors, materials and different choices, and often the homeowner still wont know what to choose… Wood Patio Cover or an Aluminum Patio Cover. This is a great summary of the pro’s and cons of both options, and will hopefully help you decide on which one to go with. When choosing a Patio Cover material for your home you want to make sure on several things, for example you might want an option of easy maintenance, or perhaps something not so costly. 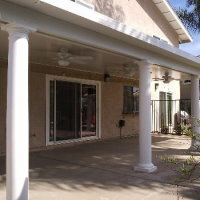 Aluminum Patio Covers are easier to maintain. They don’t require much work. Maintenance is pretty simple. They can be cleaned with water and a soft broom, sponge or rag, every a fan spray of a pressure washer. 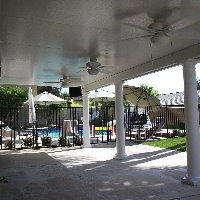 Rain and sunshine will not affect the appearance of the aluminum patio cover. They don’t rust and you don’t have to worry about Termites. Wood Patio Covers you need to maintain yearly if not sooner. Rain and sun will deteriorate the patio cover, and there is always a chance of Termites. In order to maintain the well being and not have the look of your patio cover change you would have to paint it every year. 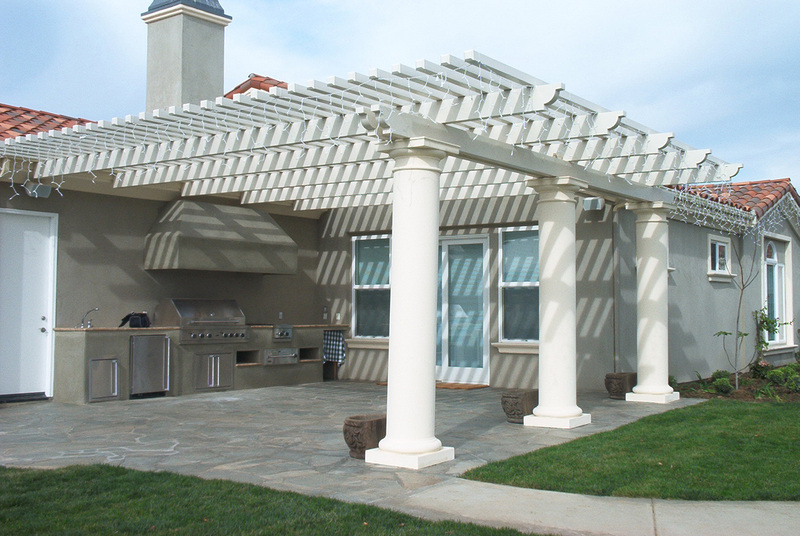 Lattice Style – The lattice top style patio cover is one of the favorites. It simulates a wood patio cover with 2x2s or 2x4s on the top of it spaced out so that a portion of the light can come through. Usually about a 2′ spacing. W Pan Style – “W Pan” is a semi flat lid with an upside down “V” largely spaced out creating a nice rigid semi-flat style ceiling. Flat PanStyle – This style is popular with homeowners looking to build an outdoor kitchen or living space. It allows complete protection from the sun and rain. Very easily to clean and you can install a ceiling fan or lights in them. Tri V Style – The “Tri V” style is a conventional look for the aluminum patio covers. Add a nice amount of detail to the ceiling. 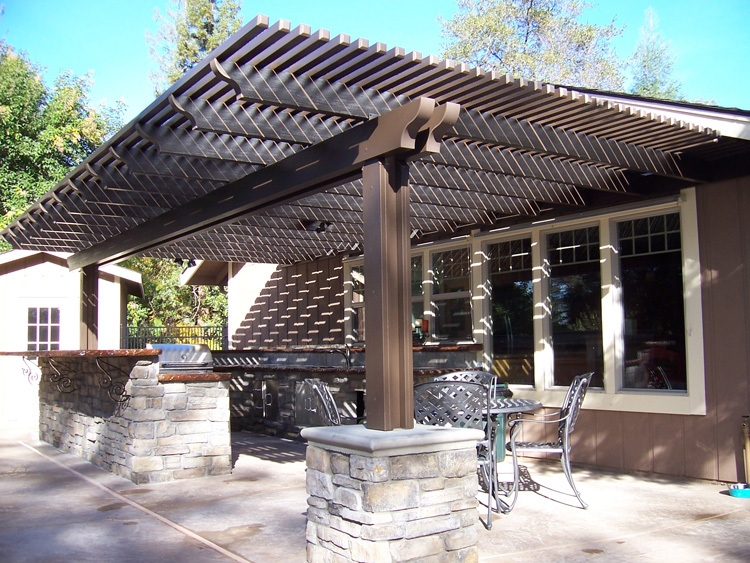 What is a DuraCool Patio Cover? DuraCool innovations also include our richly-embossed HD wood grain texture, which delivers the seductive appearance of wood and the weather-resistance power of aluminum. Plus, we have engineered our patio covers to include the option of attaching a fan & light fixture beam to enhance your daytime and nighttime gatherings. A cool roof reflects and emits the sun’s heat back to the sky instead of transferring it to the patio below. Note: Colors shown here are for example purposes only. Actual colors may vary. 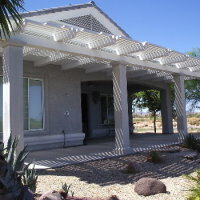 Where Do We Install Aluminum Patio Cover?